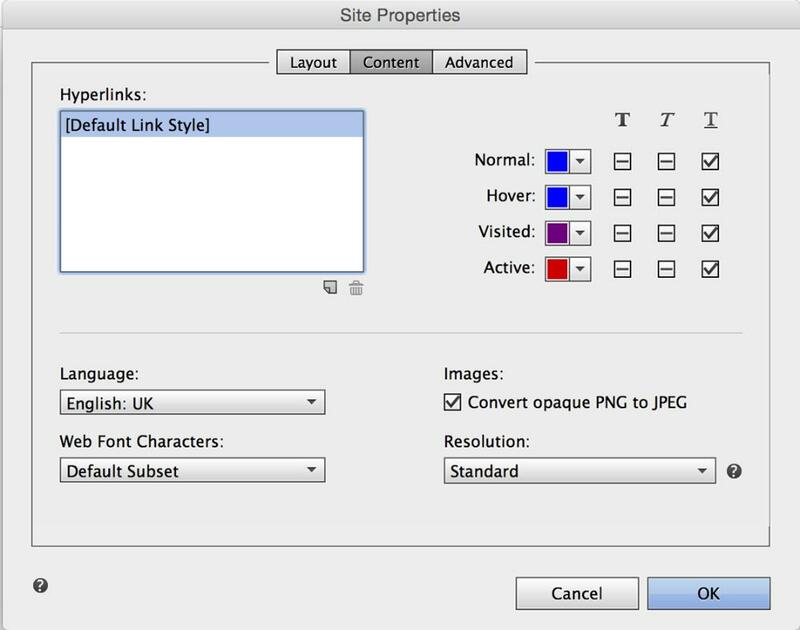 Once you have selected 'Edit Link Styles,' you will be presented with this options panel. 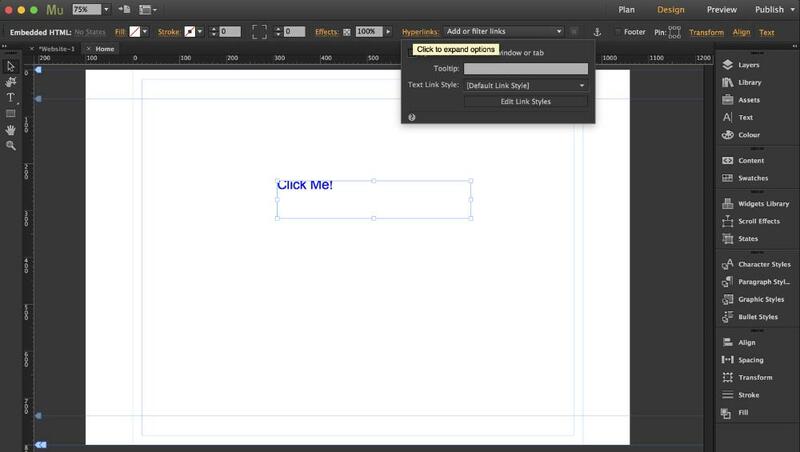 Here you can change the text properties for links displayed inside Muse. Change the colors for the different states of your link as desired; in this tutorial we have changed the 'Normal' state to Red and the 'Hover' state to Purple. When you preview your page in the browser your link will now be styled with the colors defined in the options panel.